It’s no secret that many South Africans want to leave our sunny shores for more exciting (and possibly less turbulent) countries. Teaching English as a Foreign Language (also known as TEFL) is a very attractive option for anyone contemplating going abroad because it doesn’t take too long to qualify, it’s a fun job and you can get paid really well. What’s not to love? Well, if you’re South African you may be reluctant to throw your Rands at a TEFL qualification because you’re not sure where exactly you can go. After all, not all of us are privileged enough to qualify for an ancestral UK visa! But don’t give up hope in the green mamba just yet, because there are countries that are open and welcoming to South African teachers and so are very popular with South African TEFL teachers. Don’t believe us? Here they are. 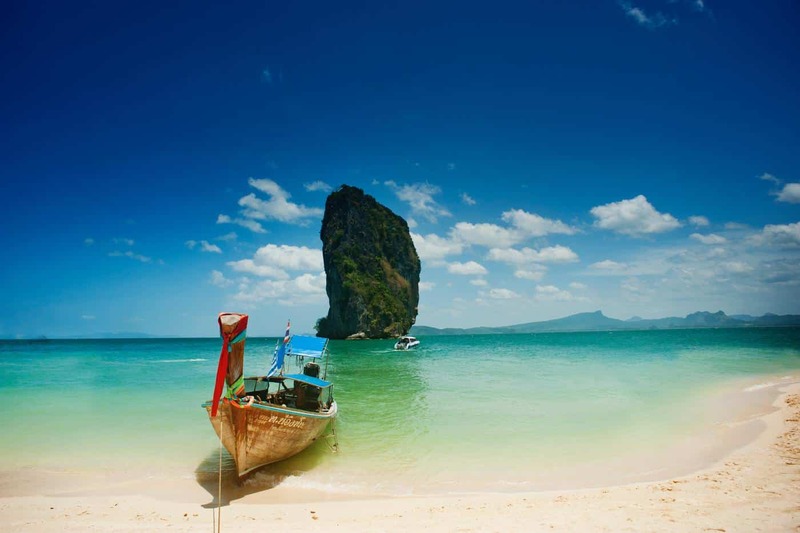 Thailand is very popular with South African teachers and for many reasons. The beaches give Camps Bay a run for its money, the food blows our bobotie out of the water and it’s not uncommon to pop over to Cambodia, Singapore or Malaysia for a weekend. Aside from that, there are loads of jobs for English as a Foreign Language teachers and South Africans are welcomed with open arms. South Africans are given a tourist visa on arrival and if you have the qualifications, a working visa is not hard to get. China is probably not on many South African teachers’ radars at the moment after the recent debacle, but don’t let that cloud your judgement on this amazing country. As you can imagine, with the sheer number of people in China who want to learn English there are teaching jobs for Africa in China (haha). Just be sure that you have the right visa, the Z visa. Nobody wants to get into trouble in China, as those poor teachers will tell you. As long as you have been educated in an English-speaking school or university and you have a Bachelor’s degree of some sort, South Korea will be happy to have you. The EPIK programme places teachers in government schools and is a very popular option for South African teachers. Besides the fact that South Korea is undeniably interesting, teaching jobs there often come with packages – meaning your flights are paid for and accommodation is provided. It might not be the first place people think of when they think of going abroad (not yet, anyway) but the UAE has a lot to offer. Dubai and Abu Dhabi are particularly popular with South Africans, and not only TEFL teachers. So while you’ll be able to find a great job with an awesome salary, you’ll probably be able to find some friends from home too. Plus the UAE is a great stepping stone for your travel adventures. Another option that you might not usually consider, until you realise just how much money you can earn there, is Saudi Arabia. There are plenty of EFL jobs available as well as positions teaching other subjects. Besides a good salary, you can expect accommodation or a living allowance as well. Many teachers may be hesitant about going to a Middle Eastern country but it is a cultural experience you don’t want to miss. To be a TEFL teacher means the world is your oyster, even with a South African passport. Even though there are a few countries we cannot teach in, there are so many more that we can. These five countries are just a few of the options popular with South African teachers. So which one are you going to go to? No, we’re not talking about the advice your mom is going to give you when you’re packing your bags – don’t forget to pack a jersey; make sure you have a copy of your passport; why don’t you take some rooibos? We’re talking about the real advice you want to/need to/should hear before you decide to hop on an aeroplane and make your way to a foreign country to teach English. The green mamba might be limiting but that doesn’t mean that there aren’t options for you as an EFL teacher. On the contrary, there are many places you can go to teach, you just need to make sure you are eligible for a working visa. There’s no point spending hours applying for jobs in countries which won’t give you working visas, so do your homework. If you don’t have a UK or EU passport, working in Europe is going to be very difficult. For this reason you’ll see many job adverts stating “EU nationals preferred”. This is because in order to get a working visa, your school will have to prove that there isn’t an EU national who can do the same job. Considering the number of British people living in Europe, this is hard to do and so many employers won’t bother trying. Even if you can’t work in Europe, there are still tons of places you can go. Asia, South America and Africa are places that will happily welcome you with open arms – just make sure that you get the correct visa. There are many teachers who work on tourist visas and do tourist runs but this is not something we would recommend as there are dire consequences if you are found out. Your employer should help you with all the necessary paperwork to secure your working visa. We don’t mean that you need a PhD in Teaching, but you need to make sure you have everything you need to teach where you want to teach. The bare minimum is a 120-hour TEFL course and, for some countries, a Bachelor’s degree (in any subject) – though there are many countries you can teach in without a degree. Because South Africa has 11 official languages you may be asked to prove your English language proficiency. Don’t be offended, it’s standard for citizens of countries which don’t have English as their national language. To prove your language ability, you need to show that you attended an English-speaking school or university or you can take the IELTS test. You might be turning to English teaching to make some money to pay off your car back home, but remember that you will need money to start off with. You will firstly need to pay for your flights and when you arrive you will need to pay for your accommodation. You may need to stay somewhere temporarily while you look for permanent accommodation and bear in mind that you’ll probably need to pay a deposit of one months’ rent. Plus you also need to consider food and entertainment. Unfortunately this is a big issue for South Africans because of the Rand. The Rand does not stretch very far in South Africa, let alone in a foreign country when it is converted into foreign currency. This may affect your choice of teaching destination. Countries in South America, for example, have a much lower cost of living than other countries. Certain countries in Asia are good options too. Some employers will help you out with these costs. They might cover all or some of your flights which they will reimburse you for when you arrive. Some countries (Saudi Arabia and South Korea, for example) offer generous packages which provide accommodation as well. This all needs to be considered when judging the salary of a position. If you’re thinking of becoming a TEFL teacher, don’t let worries hold you back. Making sure you have the right visa, the right qualifications and enough money will get you off to a good start. Let your TEFL adventure begin! What's happening Cape Town! Cape Town Restaurants, Reviews, Restaurant Specials, Factory Shops, Fashion & Beauty, Things to do in Cape Town! Follow us on Facebook & Twitter.